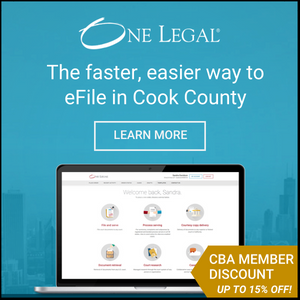 The Chicago Legal Tech Innovator Showcase will promote the law firms, legal service providers, and companies that are using technology to improve legal services in the Chicago area and highlight those whose innovations are exceptional. Whether the end result is better legal knowledge management, more affordable legal services, or improved metrics for decision making and analysis—and regardless of how the services are delivered—we want to hear what you are doing, and so does Chicago’s legal community! Five “Best in Show” awards will be given in each of the 2 awards categories: Law Firm/Legal Services and Company/Product/Service. Each award winner will present a 5 minute pitch at the Chicago Kent Auditorium on October 24 and have an opportunity to exhibit during the event. There will be a kick off discussion on “How to Innovate” with an all star panel. Submissions are due no later than September 29th, 2017. Learn more about the Showcase, criteria, panelists and judges and spread the word!